When a large or expensive home is presented on this site, it’s common to get an adverse response from readers requesting that we feature smaller and more affordable homes. 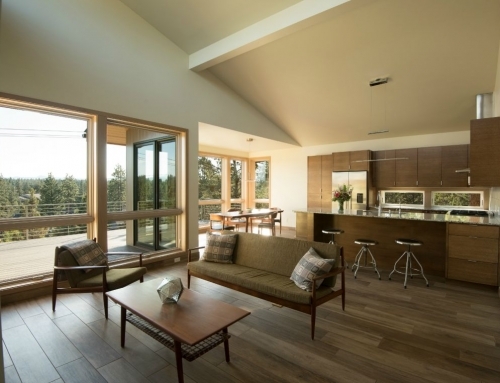 Today, I’m going to take that opportunity to share something called the 50/10 House developed by Cellar Ridge Custom Homes and m.o.daby design in Oregon. 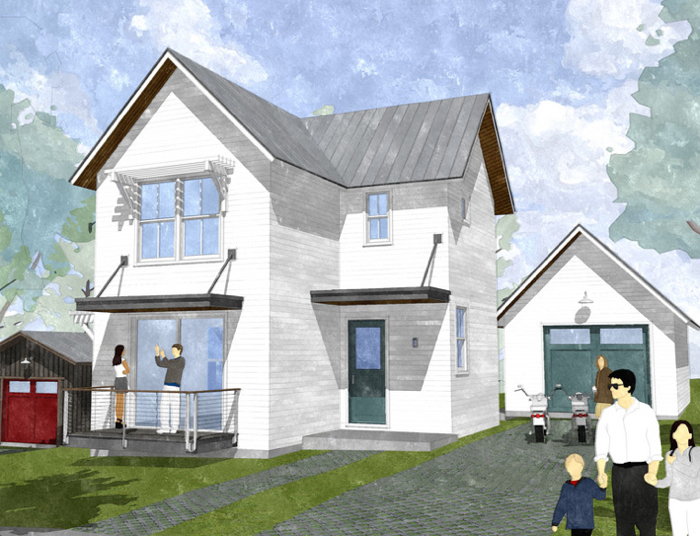 A 50/10 House aims for the sweet spot of performance and cost — it’s 50% more efficient than local code, and the construction requires a reasonable 10% upfront investment. 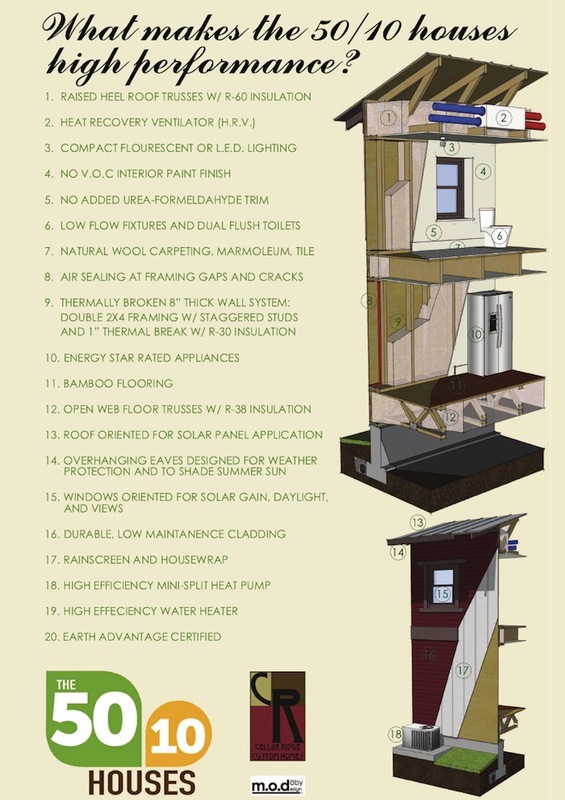 This graphic explains what goes into a 50/10 House to make it more efficient than code. There’s above-code insulation, heat recovery ventilation, energy-efficient lighting, air sealing in the gaps and cracks, a thermally broken wall system, Energy Star appliances, thoughtful overhangs, carefully placed windows, a high-efficiency water heater, and a mini-split heat pump system. The homes range in size from about 1,200 – 1,600 square feet and will be oriented to optimize the sun. Roof lines are designed for solar panels, should an owner decide to spend a little more to reach net-zero energy or greater efficiencies. Cellar Ridge and m.o.daby are currently offering 50/10 Houses from a starting price of $190,000, without land anywhere in the Portland metro area, or from $225,000 with the lot in McMinnville, Oregon. Though more affordable than custom or architect-designed residential, a 50/10 House is not cookie cutter. Cellar Ridge and m.o.daby, who combined their efforts on the Morning Sun project, offer several architectural styles with alternative floor plans. Furthermore, owners have the ability to customize cladding materials and colors. [+] More about the elements of a high-performance 50/10 House. Pretty much what you’re looking at with their standards is exactly how I retrofitted my house – and it’s an awesome place to live. $20 utility bills in the summer, $60 utility bills in the winter, plus it didn’t cost an arm and a leg to have installed. I’m glad to see they’re speccing mini-split heat pumps. Most people who visit my place (including a recent home appraiser) have no idea what they are or how they work. The only thing I really wish I had with my 1970’s home is a thermally separated top-plate and walls. Thanks for highlighting affordable homes that are designed smartly. It always irks me when bloggers post cool homes, but make no mention of price. I like the list of upgrades! The solar PV would compliment the heat pump. I wonder what kind of window package they are using? OK, my last comment may have been a bit harsh ;-). This is clearly way ahead of the standard new developer home, in terms of reduced size, increased insulation, and energy-resource conservation in general. It is, nevertheless, far short of where we need to be. Steve, Could you be more specific? Your comments intrigue me. I am interested in your definition of McMansion and how it pertains to these home plans. I consider McMansion to be unnecessarily over sized, energy and material consuming houses. 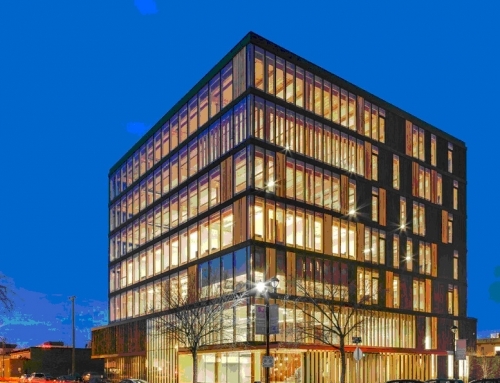 These plans are 1200 to 1400 square feet, which is far less than the average American home and they are 50% (minimum) more energy efficient than Oregon code. You mentioned they are “far short of where we need to be”. 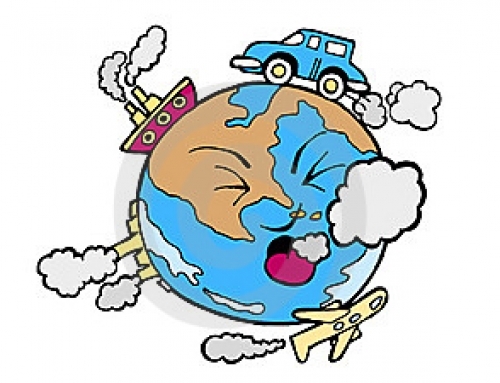 Where do you propose we need to be…and furthermore, a path to achieve that affordably? I’m happy to see your comments. Our designer/builder team has been striving to find an evolving balance between efficiency and affordability with an eye on honest design. Your comments help confirm we are pointed in the correct direction. Currently we have found that the Anderson 100 series window package is fitting the bill. Domestic window technology is starting to respond to the demand for better efficiency and less environmentally intrusive materials. We are always keeping our eyes open for the best solution for efficiency, style, operation, and material responsibility. I welcome any other questions or comments. OR interested parties to call a 50/10 house-Home. Larry and Matthew, thank you for asking about my comment. First, however, let me re-emphasize (more clearly this time I hope!) that your house designs, Mathew, are certainly not McMansions, as the term is normally used! 1200 SF to 1400 SF houses are considerably smaller than what has become the norm. I also think that both the A Series and the B Series are very well designed, and attractive. The increased insulation, increased energy and resource use efficiency, and attention to affordability issues, are outstanding. My perspective, and my bias, comes from my focus, as a designer, on the development of universally affordable housing, which is also designed to be able to provide a self-reliant means of food-water-energy-waste recycling life-support, primarily through the collection of solar energy and precipitation alone, in any climate, and at even urban densities. Compact dwelling space that can accommodate even extended families, through adaptable, multi-use space, with multi-use furniture, and maximum integrated storage, in order to be able to provide a minimum of 4 bedrooms (at least for sleeping, depending on dwelling size), is central to all of this. Housing design and development is an enormously complex process–especially when considering the normally subconscious effect of the housing that we have been culturally conditioned to aspire to–and the social, financial, building code, zoning code, and utility system institutions that have been shaped by, and serve to reinforce, our cultural model of the dwelling. I would propose that our culturally conditioned model of the ideal dwelling, is the mansion. I think that most people have housing aspirations that reinforce mansion-like housing–and, in consequence, all too often end up trapped in a life-time of unaffordable rent-mortgage-debt-wage enslavement. 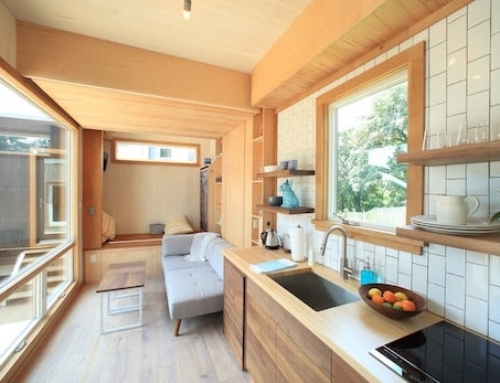 In contrast, the fairly recent emergence of the “tiny house” movement (generally considered to range in size from less than 100 SF to 400 or 500 SF) signifies a change. I tend to focus on 120 SF to 800 SF. 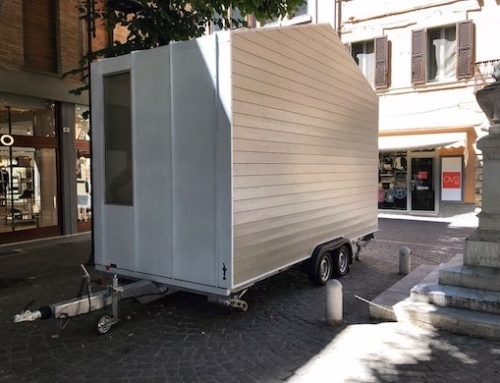 Even the 120 SF version can provide 2 to 4 bed-rooms. (At this smallest size, when all 4 bed-rooms are deployed, each double bed-room provides sitting headroom and visual privacy only).